Well it was a pretty good weekend. Dunno where my mood is at the moment. It's definitely not all sunshine and roses and all is right in the world, but it's also not doom and gloom and kill me now. I guess I'm adjusting to normal. Me thinks the honeymoon phase is over ;) Haha. Anyway, on Friday evening The Trucker came over. we ended up talking instead of watching TV while we ate dinner. I dunno, I never know if we've accomplished anything with these talks. I think I'm in an unsettled place (you know, adjusting to this "normal") and he's dealing with all sorts of other things (work, what else?) and it leads to weird conversations and expectations and not much resolution, really. I guess it is just good to be talking about it tho, even if I don't feel it's achieves much. On Saturday we had a crazy busy morning. Out to Parkhurst to the Braeside butchery, with a stop at Nice for a cheat breakfast ;) Very yummy. It was a fantastic and totally awesome evening. We lit the fireplace again, we ate around the outside dining room table, the food was superb. We offered the Asian Infusion cocktail we'd had in Vietnam on arrival (as close as we could get, it was pretty yummy). @clairam brought the starters: do it yourself nacho's. The Trucker made fillet in a red wine jus, served with wasabi mash and glazed carrots for main (omg so good!) and @Toxic_Mouse flipped gluten-free pancakes which we filled with an orange-cointreau sauce and ice cream. There was much wine drunk and we finished off with Vietnamese condensed milk coffees. 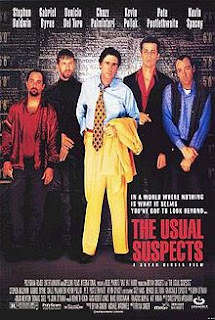 The evening was pretty relaxed and we re-watched The Usual Suspects. So not as good as I remember. Re-watching these old films you have these great memories of, never seems to work out as well as you hope.